Money gift vouchers give your loved ones chance to spend some wonderful time at Holdsworth House. You can buy vouchers for any monetary sum. Your lucky recipient can spend the vouchers on rooms for a short break, food in the restaurant or drinks in the bar. Buy now online in multiples of £10.00 or call 01422 240024 to pay whatever sum you prefer. 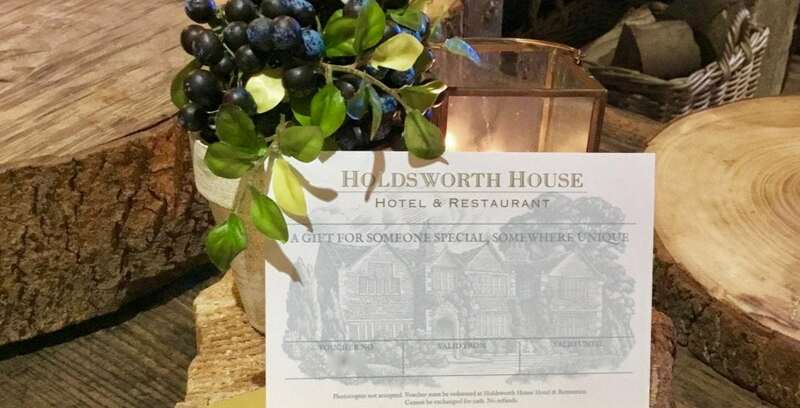 All Holdsworth House money vouchers are valid for 12 months from the date of purchase. Gift vouchers ordered online can only be sent to UK mainland addresses. If you require a gift voucher to be sent any other address, please call 01422 240024 to arrange payment as additional postage costs may apply. For instance, "Please don't seal the envelope..."
Subscribe to our newsletter to receive the latest special offers straight to your inbox.